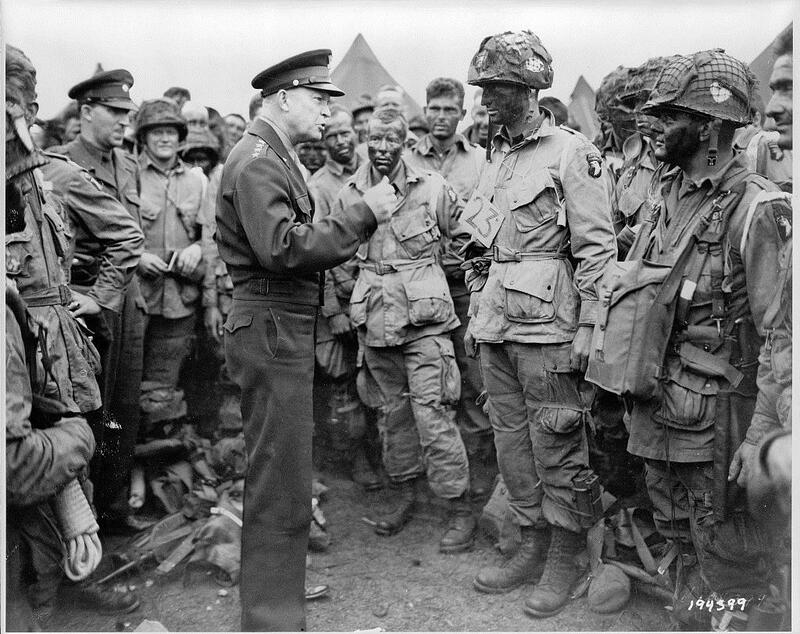 General Eisenhower addresses paratroopers prior to boarding their transports for the Normandy invasion. Library of Congress. 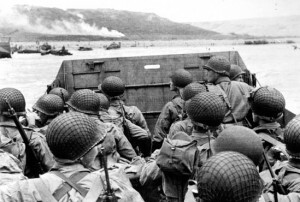 Seventy years ago today, the pivotal campaign of WWII took place along the coast of Normandy, France. Known almost universally as “D-Day,” Operation Overlord was the largest seaborne invasion in history. Using the oral history collection from our archives, we are able to preserve the stories and accounts of Wisconsin’s heroes that took part in that historic event. The story of Milwaukee native Martin Gutekunst, gives insight into the mindset of those young heroes so many years ago. Troops approaching the beaches in landing craft. National Archives. By the next morning, hundreds of thousands of allied sailors and soldiers were in position, waiting off the coast of Normandy. Despite the massive preparation for the invasion and the extensive training the units received, coordinating the landing of thousands of men in each wave on the beaches was a complicated task and undoubtedly not everything played out the way it was planned. In the landing craft of the 2nd Beach Battalion, Gutekunst remembered the approach to the beach. 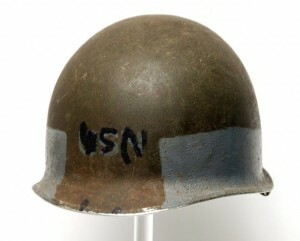 Helmet worn by Martin Gutekunst on June 6, 1944 on Utah Beach. Martin Gutekunst Collection, Wisconsin Veterans Museum. After the beachheads were secure, Gutekunst’s battalion remained on the beaches, clearing obstacles for a month before being sent back to England and the United States for more training. In 1945, Martin shipped off to the Pacific to take part in the landings at Okinawa and to prepare for the proposed invasion of Japan. As we reflect on the sacrifices of those heroes 70 years ago today, and all WWII veterans, it is important to remember the duty we have to preserve these stories and share them for generations to come. To learn more about Wisconsin’s veterans and their stories, search our collections online at http://bit.ly/1lbdgNq, or visit our Research Center located on the 3rd floor of 30 W. Mifflin Street in Madison.